50-15 Post Archives - Royal Oak Railing & Stair Ltd. This is a perfect choice for both historic and modern buildings. 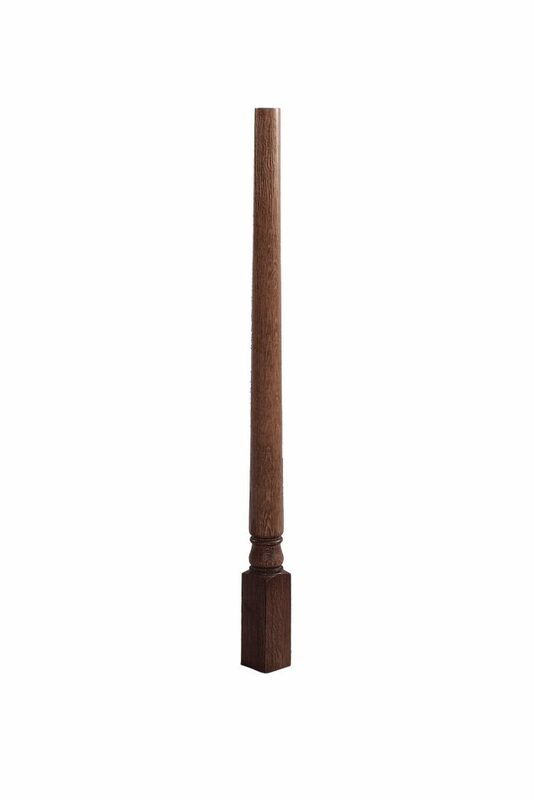 The finely crafted post is made of solid wood. It has a round top newel, a square bottom block, and a turned bottom. It is available ready to be finished or stained. This is a great choice if you are targeting a clean and minimalist feel. Royal Oak Railing and Stair believes in giving you more options when it comes to stair part accessories. That is why we offer these posts in several wood species. You can also request a specific wood species for your post. Innovative stair parts is what we are committed to offering at Royal Oak Railing and Stair. If you need something similar or completely different from the 50-15 post, all you need to do is give us a call. Our experts will listen to your needs, give recommendations or custom make your desired post. There is no project that is too big for us. We have the know-how and resources you need. Give us a call today and we will listen to your needs and give you a quote.